Galileo and the Grand Duchess term papers are custom written on Galileo's teachings and a letter to the Duchess' Christina. The Duchess's objections to Galileo are overviewed. In 1615 Galileo wrote a letter to the Grand Duchess Christina of Tuscany. In his letter he discusses the many charges against him for his scientific work. Specifically, Galileo addresses the objections of the Grand Duchess to his work and puts forward his response to her fears regarding his beliefs. Your essay will want to articulate these fears and evaluate Galileo’s response to determine its persuasiveness. It is evident from Galileo’s letter he is attempting to address the fears and objections that the Grand Duchess possesses about his teachings. The Grand Duchess appears to object to Galileo’s promotion of Copernicus’ scientific doctrine. Galileo’s argument directly contradicts the work of Ptolemy and Aristotle that was generally accepted as truth at this time. 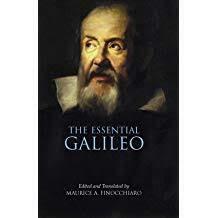 The apparent reason for the Grand Duchess’ objections to Galileo’s teachings is not that they oppose the beliefs of Ptolemy and Aristotle as much as it contradicts the interpretation of the Bible. For this reason the concept that the earth moves is damnable and heretical. Additionally, Galileo presents the idea that simply because his teachings are not generally accepted by the church some godly men have taken the opportunity to oppress him using the pulpit as a platform. Galileo’s Letter breathes a similar spirit. In it he argues that truth is found through observation, not through endless contemplation of what is written in the Bible. The way in which he makes his argument is adroit. He affirms the infallibility of scripture and then confronts the case where “the learned books of worldly authors” seem to contradict scripture. The theological authorities, he says, should make a distinction between “propositions about nature which are truly demonstrated and others which are simply taught”. In the former case they must confine themselves to showing that there is no real disagreement; that is, they must give an interpretation of scripture that makes room for that which has been demonstrated by scientific observation and reasoning. It is only in the latter case that scripture has primacy, in the case where propositions are “simply taught”. Galileo and the Church - Galileo and the Church term papers written as examples for your own research on Galileo and his relationship with the church, Grand Duchess and Catholics. Galileo's Discourses - Galileo's Discourses research papers overview his Discourses as published in the last years of Galileo's life. Galileo and Motion - Galileo and Motion research papers are analytical research materials on the famous astronomer and his ideas on the physical world. Paper Masters writes custom research papers on Galileo and the Grand Duchess and on Galileo's teachings and the Duchess Christina's objections.